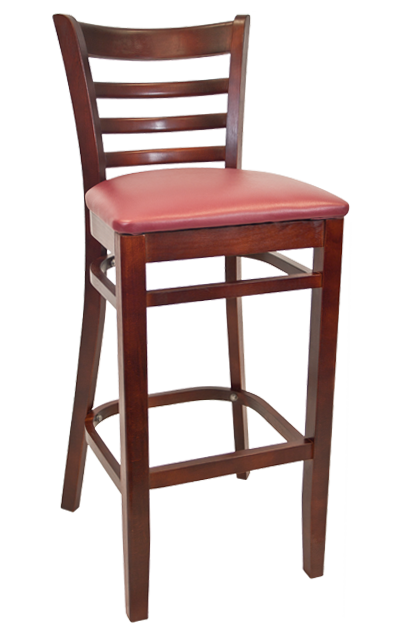 The Beechwood ladder back barstool is constructed to withstand the rigorous conditions of the food industry. Mortise and tenon joints are screwed and glued together, embraced by corner blocks that improves stress flow into the load barring members - the legs. Heavy duty "L" brackets in certain spots to enhance structural stability and prevent the chair from wobbling. 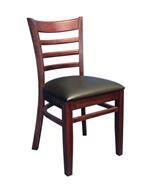 Available with a 1" solid saddle seat, veneer seat or an upholstered vinyl.